Assistive Technology can support learners with autism who may struggle with executive function skills such as scheduling and reminders, organization and time on task, attention and focus, social skills, as well as behavior monitoring and sensory breaks. In this webinar we will demonstrate and discuss various apps and AT options, including wearable technology to support students with autism, to foster engagement, inclusion, independence and success in the educational environment. Please note: some of the resources shared may be Montana-specific. Please note: If you are unable to attend on the scheduled date or if registration closes because the session is full, the webinar will be recorded and archived to the Transition and Employment Projects website. The Office of Public Instruction is making available limited funding for the costs of students with significant behavioral or physical needs served by the public schools. Funds must be obligated by June 30, 2017. (SED) or be identified as a student with disabilities in accordance with the Individuals with Disabilities Education Act (IDEA). Massachusetts Act Early has developed the Considering Culture in Autism Screening guide, toolkit and classroom-based curriculum offered below at no cost for use by a variety of pediatric and early childhood professionals when working with children from families whose primary language is not English. These free materials may be downloaded and printed for use in practice. Included in the Considering Culture in Autism Screening Kit are several selected translations of the M-CHAT autism screening tool in both the latest revised version with the follow-up interview (R/F) and the original version (see below). In addition to the M-CHAT R/F translations below that represent the most prominently spoken languages in Massachusetts, the M-CHAT R/F web site has many more. To download other translations and to learn more in general about the screening tool, please visit http://mchatscreen.com/. See more here at Massachusetts Act Early. Many teachers in the general education classroom feel unprepared to serve the growing number of students with autism. We developed the Curriculum in a Box to provide school districts, schools, and teachers with the foundational knowledge and effective classroom strategies they need to better teach students with autism. The program can be flexibly used by administrators for small staff meetings, by autism specialists for large professional development sessions, or by individuals as a refresher. All of the materials are accessible online. If you wish to order a hard copy, we encourage you to first view the materials online. Order the Curriculum in a Box! 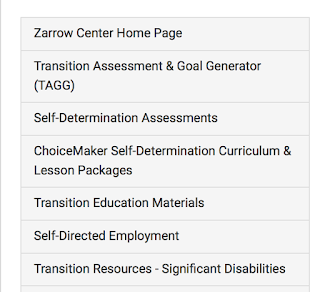 See these resources and more here. A Guide to Montana's Developmental Disabilities Program. You can download the guide here. It should be shared with parents when a student might be looking for services in that system. Link to the Hanen web site for this workshop. The Utah Regional Leadership Education in Neurodevelopmental Disabilities (URLEND) is studying the attitudes of professionals toward the sexuality of people with intellectual disabilities. The purpose of this study is to help describe attitudes that may impact services for people with intellectual disabilities. The outcome of this study can help inform future policy and practice. Medical providers, mental health providers, and professionals who serve people with intellectual disabilities (e.g. case managers, direct service providers, administrators). The purpose of this Autism Academy is to provide teachers, paraprofessionals and teaching assistants with information and skills to be able to assist in the instruction of students with autism. Registration Note: We respectfully ask that only Montana para-educators register for this module. It is designed to meet their unique professional development needs. On March 25, if there are any virtual seats available, registration will open to any Montana educator—certified or non-certified. If you are a para/teacher team and wish to take the module together, contact Annette Young at ayoung3@mt.gov to have your registration request honored. Until recently, researchers held that addiction among people with autism is rare, although there wasn’t much solid evidence for this view. It seemed plausible, though: Many people with autism have a penchant for strictly following rules, which would seem to make them less likely to try alcohol or illegal drugs. Because people with autism are often isolated from their peers, this could protect them from the peer pressure that can lead to youthful experimentation. And many people diagnosed with autism decades ago had severe features; a person who can’t live independently has few opportunities to become addicted. A new study in Sweden, however, suggests that people with autism who have average or above-average intelligence quotients (IQs) are more than twice as likely to become addicted to alcohol or other drugs as their peers are. The risk is even higher for people who also have attention deficit hyperactivity disorder (ADHD). This study is the first to look at the general risk for addiction among people with autism. “I need help” is equivalent to “Teacher, do something!” The student didn’t articulate or even think about what they needed help with or why. confusion in a more sophisticated and self-reflective way. This webinar is the second of a two-part series discussing the array of activities that Montana students can participate in within the five required Pre-ETS categories: Job Exploration Counseling, Work-Based Learning Experiences, Counseling for Post-Secondary Education, Workplace Readiness Training, and Instruction in Self-Advocacy. Presenters will provide examples of activities in each area, illustrate how many of the areas can be addressed through combined meaningful activities, and demonstrate through examples how an evolution of Pre-ETS services for each individual student best prepares them for college and careers. 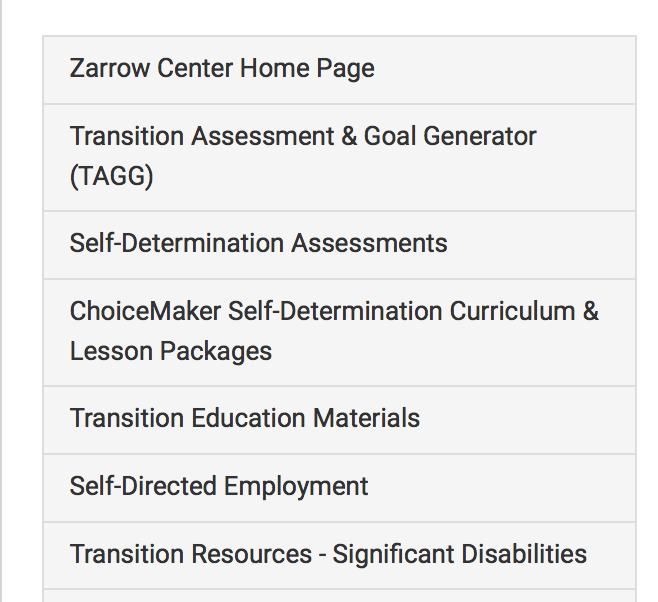 Preparing Students with Disabilities for Careers and College through an Evolution of Pre-ETS Activities - Part 2 will review a progression of services and objectives that may be used for Instruction in Self-Advocacy and Counseling for Post-Secondary Education. Montgomery County is unusual, if not unique, in creating such a program. Many schools have denied similar requests for programs that allow rapid prompting, or a similar technique known as facilitated communication that was widely discredited by the scientific community in the 1990s. In an autism world with few documented treatments and many high-cost promises, the use of these techniques has stirred strong emotions. Critics say they offer false hope to desperate families, while advocates argue that they help some people and that it is wrong to stop exploring the only means some may have of communicating. Using a magazine format in full color and standard columns within each chapter, The Social Times Curriculum is written directly to students in an engaging “voice,” aimed at teaching social cognition and emotional regulation in an enjoyable way that increases students’ motivation and encourages peer interaction. The Social Times Curriculum set consists of three copies of The Social Times Student Book, one copy of The Social Times Teacher Book, The Social Times Curriculum Guide, and a USB drive with downloadable materials. The Social Times Student Book is also available separately to supplement larger classes. In each chapter, the main topic focuses on an area of social cognition that individuals across the autism spectrum, or with related social needs, might find confusing. All of the topics offer critical information for how to use social learning with peers and in the community, while making each lesson entertaining and applicable to today’s students. The accompanying USB materials include word searches, crossword puzzles, quizzes, hand-outs, scales, and additional activities.